We introduce ourselves as a Talent Search Firm having registered office in Kolkata. 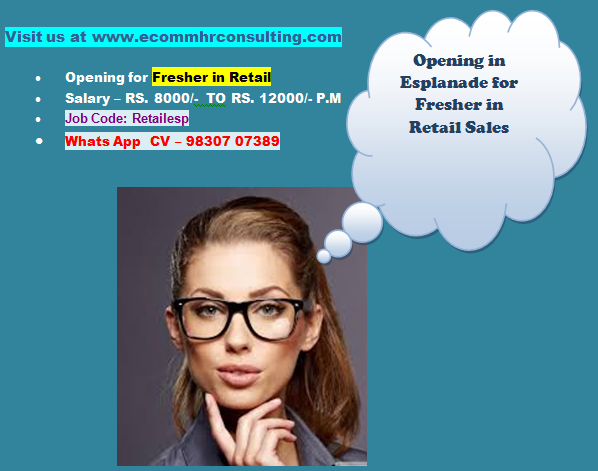 ECOMM has been operating in the Indian market since 2005 and has built up a strong reputation in Engineering, BFSI, Logistics, Retail and Non IT recruitment based on trust, integrity and adding true value to both our clients & candidates. We strive hard to provide a fresh, honest, confidential, ethical and passionate approach to what is a highly complex, at times stressful and critically important people management role. We are focused to see that quality manpower as per the description in the Desired Profile from the HRD is constructively and appropriately acquired. Engineering, Manufacturing,Construction, Cement, Metal, Power.etc. Real Estate, Infrastructure Projects,Project Finance. We do not charge fees from the applicants if we recruit for our empanelled corporate Clients. IF YOU CANNOT FIND SUITABLE OFFER, PLEASE SUBSCRIBE WITH US TO VIEW 1000 + OPENINGS POSTED BY CORPORATE HOUSES ALL OVER INDIA NOT EMPANELLED WITH US. PS DIGITECH,HIGHCO ENGINEERS.,Sapporji & Pallonji,Paharpur Cooling,Tantia Const. What can you buy for RS. 500/- ? Five Major reasons to choose us? Please do not miss this opportunity. Be the first to grab the best employment opportunity. Job Offers from a dedicated research team of Recruiters will be delivered to your email box. Log into our Blog to get employment updates 24/7. Candidates will be provided unlimited job offers via Email or SMS during the period of Subscription. Get Unlimited Job Offers for One Year. No Hidden Charges after getting a Job through us. Please note: You can subscribe only through Gmail Account. Click here to create an account.